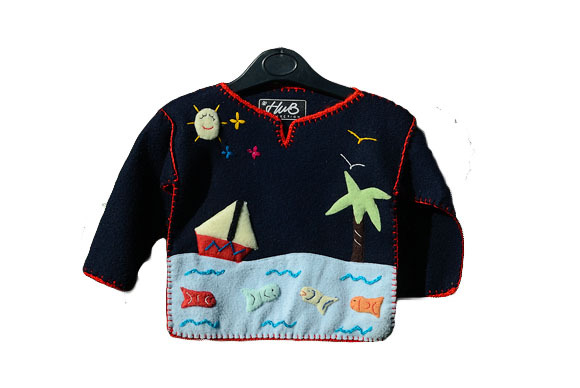 Lovely Sea design on this Suave (soft) top designed and produced by the Hub Collection. Handcrafted in Ecuador, these are unique and practical for boys and girls. These fleeces are machine washable - they don't even need tumble drying!